Plant World, Inc. carries a large selection of hardscaping materials and supplies. 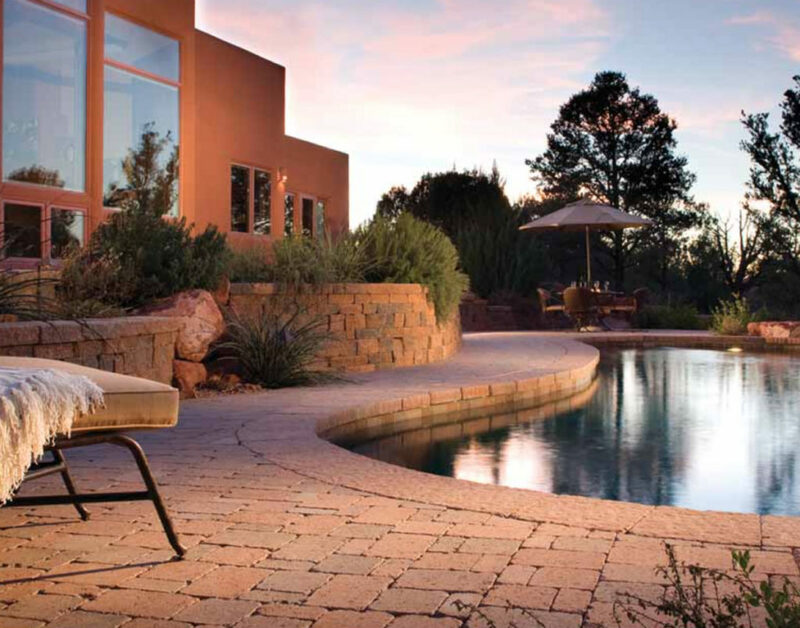 Belgard Paver is one of our preferred vendors as their environmentally responsible products are particularly suitable for New Mexico climate. From eye-catching driveways, to stunning patios, to serene landscapes, Belgard offers an array of products to complement your home and help you create the perfect dreamscape. Though they specialize in a number of styles of permeable pavers and interlocking concrete pavers, they also specialize in retaining walls, finishes, and other applications such as fire pits and outdoor ovens. Their line of permeable pavers reduces water run-off, allowing the water to gradually filter back into the soil naturally, resulting in the control and stabilization of soil erosion. Browse Belgard catalog for more information and inspiration. To help you plan, order and install pavers, we assembled a handy Belgard Paver Quantity Calculator as well as an installation guide Belgard Paver Installation Guide. Just give us a call or visit us when you are ready and together we’ll make your dream become a reality!